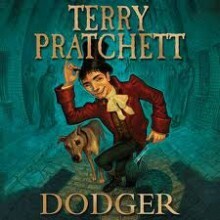 Dodger is a tosher - a sewer scavenger living in the squalor of Dickensian London. Everyone who is nobody knows Dodger. Anyone who is anybody doesn't.But when he rescues a young girl from a beating, suddenly everybody wants to know him.And Dodger's tale of skulduggery, dark plans and even darker deeds begins. This was a great story with excellent audio narration. The narrator's voice adds so much to the novel. The story is so reminiscent of Dickens (as intended by the author), who is also a character in the novel. The humour is a delight and the story superb.